Sixty years ago, on January 13, 1955, the Asahi Shinbun, one of the five national newspapers in Japan, published a feature article on Okinawa under the U.S military administration. It was a groundbreaking article, which reported on the oppressive situation in Okinawa under the U.S. military administration, for the first time to mainland Japanese. A high school student from Tokyo, who read the article, sent a letter to encourage the people on Ie Island whose land was forcibly acquired by the U.S military. This person is Misako Kikukawa, who was seventeen years old at that time. She started exchanging letters with people in Maja, Ie Village. In August 1955, she donated approximately 800 books and journals she collected to the island. 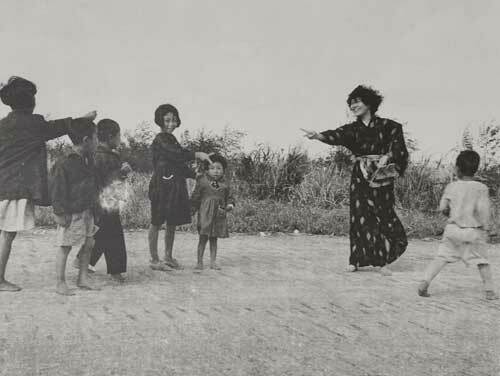 When she visited the island in January 1956, the residents warmly welcomed her. 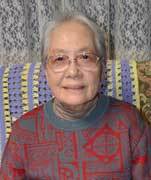 Late Shoko Ahagon, who was a leader of land struggles at that time, wrote in his book Beigun to nōmin (The U.S. Military and Farmers), “I felt like she was like a goddess or the sun.” As “the sun of Okinawa” who sheds light of hope on people living with hardships, Kikukawa was featured in local newspapers. It has been sixty years since she sent her first letter. She now says, “The inequity that burdens and sacrifices Okinawa has not changed for 60 years.” Kikukawa is still distressed by Okinawa’s situation of having U.S military base concentration, and a Japanese government that is forcing the construction of new base.